Crystal Sandblasting is a general term used to describe the act of propelling very fine bits of material at high-velocity to etch the surface of crystal glass. Sand used to be the most commonly used material, but since silicosis (a lung disease) is caused by extended inhalation of the dust created by sand, other materials are now used in its place. Any small, relatively uniform particles will work, such as steel grit, copper slag, walnut shells, powdered abrasives. Due to the dangers of inhaling dust during the process, sandblasting needs to be carefully controlled, using an alternate air supply, protective wear, and proper ventilation. In decorative glass, award and recognition industries, crystal sandblasting is frequently referred to as “deep-etch engraving“. It is a wonderfully popular technique, with few substitutes. While hand-carving is possible, it is incredibly time consuming and skill demanding; acid-etching is extremely dangerous & noxious; and laser-etching has a range of flaws which make it a questionable choice. 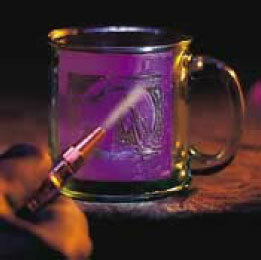 To etch the crystal glass, the abrasive is blasted onto the crystal surface lightly to turn the glass semi-opaque. This ‘whiting’ or ‘snowing’ of the glass can be used to create various effects on words, images and/or logos. By applying different etching techniques like adjusting the speed/time of the sandblasting, or the angle from which the abrasive being launched, or using a variety of sand coarseness, the glass artists can create limitless designs. The finished crystal glass has a richer texture and differing shades, allowing for some true works of art. Crystal Awards; Crystal Gifts, monuments, etc. A good design always comes first. Have a procedure in mind before attempting the task. Measure the exact size of the drawing surface and draw the dimension using a design program such as Adobe Illustrator or Corel Draw. The benefit of creating a vector file layout is that you may apply the artwork later to a different size crystal plaque without the need to re-generate the artwork. Prepare the artwork. The design layout should contain a detailed description of all patterns, texts and/or logos. Create the photo resist stencil. Place your printed artwork against the photo resist film to expose the artwork. A vacuum should be used to ensure solid contact b/w the artwork and the film during the exposure. Develop the film. 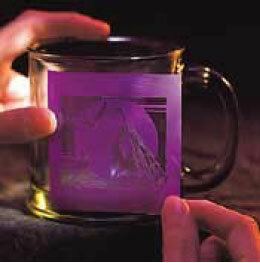 To reveal the image, the film needs to be sprayed with water to develop. Once the image is fully development, use a blow dryer or pressurized air to remove the excess water from the film. 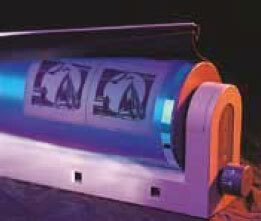 Transfer film to the crystal surface. Place the film in the correct position on your crystal for sandblasting. Cover the object. Cover the area not to be etched carefully and expose only the areas to be etched. Place the object into the sandblasting unit. Hold your sandblasting guy about 6 inches away from the object perpendicular to the crystal surface. 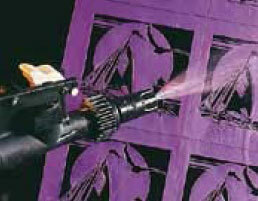 Adjust the distance of your sandblasting guy and spraying time based on the fine details of the image you are spraying. Once completed, double check to make sure you have the desired result. Remove the stencil by soaking the crystal object for 15-30 minutes. Remove the stencil to review the final product. 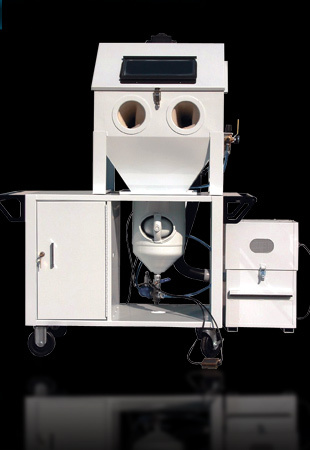 The cost of sandblasting equipment depends greatly on the scope of the projects intended. A small home glass carving setup can be acquired for less than US$800, while a system with a cabinet capable of handling larger pieces of glass and more nuanced sandblasting can cost between US$1000 and US$3000. A professional level artistic sandblasting setup will definitely cost in the thousands. Industry level sandblasting equipment also ranges in cost from the mid-hundreds to the high-thousands, again depending on the scale and scope of the projects to be completed. what kind of machine do I need to us when starting the design and to put the design on film? What to start my own business. How and what machines do I need to start. I want to learn to sandblast and etch . Copyright © 2019 Etched Crystals Knowledge Base.